This seamless, moulded, wireless bra top is made of stretchy blended cotton and lays smooth under your clothes. A built-in light foam moulded cup offers a nature curve for petite women for everyday comfort. 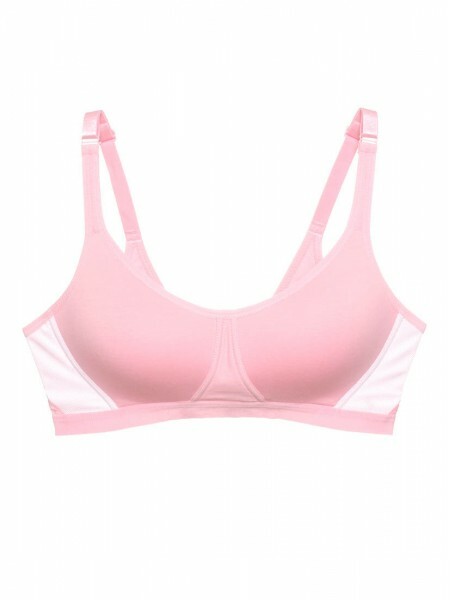 It can be used as sport bra or training bra for teens. Not sure if it fits you? You can Get Fitted by yourself online! OR view Size Guide for this product by yourself. Want to know more about cost of delivery before deciding? Click here for details. © 2019 Satami International Ltd. All Right Reserved.